No matter how you felt about Oracle and Stephanie Brown’s absence from DC’s 52, Barbara Gordon’s return as Batgirl was an undeniable success. A success for diversity. Because Barbara being shot by the Joker in The Killing Joke remained in continuity, Barbara Gordon was healing from a traumatic injury. In returning her to the streets of Gotham, Gail gave us a clear picture of PTSD. We saw a female recover from one of the most violent assaults in DC history, and regain her power while showing vulnerability as a strength … a mechanism for the signature compassion of Barbara Gordon. Gail Simone wrote her that way, and I doubt few (if any) other writers would have done the character such justice while showing grace under the pressure of launching a single-character title. What did we learn from such a positive fan response and loyal readership? We learned that people want to see stories about young, female characters. We learned that overtly feminine qualities are plenty interesting. We learned that the tried corporate formulas that have homogenized mainstream comic book storytelling are not all that there is. We learned that Gail Simone knows how to write a character, long-loved or new – I am looking at you, Alysia Yeoh. From hints of Singaporean culture to triumph over a mental disorder, we learned what many already knew: Diversity is good in comics. Whatever the why of Gail’s removal from the title, her run on Batgirl will stand as a successful example of how to walk the walk in comics. It’s what she does … and I am sure she will continue to do so. You can read her sentiments on leaving Batgirl here. You can read a wildly insightful examination of Gail’s characterization of Batgirl here. You can check out the details of Gail’s upcoming project, Leaving Megalopolis here. I am obviously upset. I rank her as one of the best in the art form at this time. To me it is always about the stories & characters. I have yet to see an explanation for the termination. I find it hard to think that they have found someone who understands this character as well as she does. Another wait and see on a beloved character. She’s also been an excellent champion for diversity in comics. I wasn’t reading Batgirl, but I don’t think anyone can deny that Gail Simone cared a great deal about the character or that she’s been an outstanding ambassador for the comics industry. And by all accounts, the book was doing well. It doesn’t make sense. That is an act of utter cowardice. I am sure Gail has a telephone, as does the new editor. The callus dismissal in such a manner points to either A) A personal dispute that they are both too professional to air outside of the DC Offices or B) the new editor is very insecure and unsure of him/herself and feels a bit threatened and is trying to replace Gail with a writer he/she can handpick and knows wont be a threat / challenge. This is all supposition on my part of course, as I am not there and can’t pretend to be privy to the information. But you have to admit, given what we know about the circumstances, this can’t JUST be about sales figures. Well, it isn’t about sales at all. The book is a success in that regard. Gail Simone as a writer and creator is, to my mind, like a force of nature: you can’t stop or change her. I have no doubt in my mind that she will continue to do great and wonderful things (She’s one of the main reasons I’ve come back to reading super-hero comics after a very long hiatus) What this says about the leadership at DC is another story all-together. It looks like they want to destroy their company or something. The first words out of my mouth were “Do they even know what they’re doing?”. I truly wonder. The phrase “creative differences” is beginning to pop up and I guess I shouldn’t be surprised. In any case, I really look forward to seeing what Ms. Gail does next. Gail Simone is one of comics’ best writers, and I’ve missed reading her in the years since she left BoP vol.I and I failed to support Vol.II, Secret Six, or Batgirl. I hope she does some creator-owned work at Image. I’m sick of giving money to evil, and worse– stupid, corporations. Screw Dan Didio, and viva independence. I don’t think it’s a diversity issue and to make it a diversity issue just cheapens the whole concept of diversity. All comics have constant creator changes. As for “no cause being given” well I read the first tpb of BG and found it very lackluster. I have heard that answer repeatedly. That’s enough to get any writer removed from a book. … to make it a diversity issue just cheapens the whole concept of diversity. I did not say that her removal was a diversity “issue.” Being that her tenure on the title is over, I chose to focus on what I thought was a key element of her Batgirl run. That key element being diversity. That element being a good thing. That is all. Wouldn’t the “key element” be her writing ability and not just her plumbing? 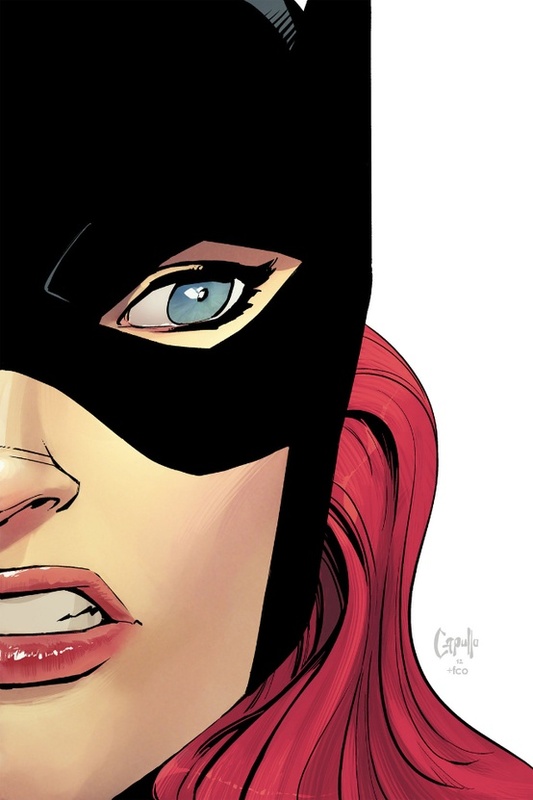 Not THE key element, but A key element … to the writing … of the story … of Batgirl. Well this is disappointing. I was not a fan of Babs being Batgirl again but Gail is a wonderful story teller. At this point and time I am so beyond tired of the shenanigans that pass for professionalism over at DC. As an aside what did you think of Gail’s run on Wonder Woman V?